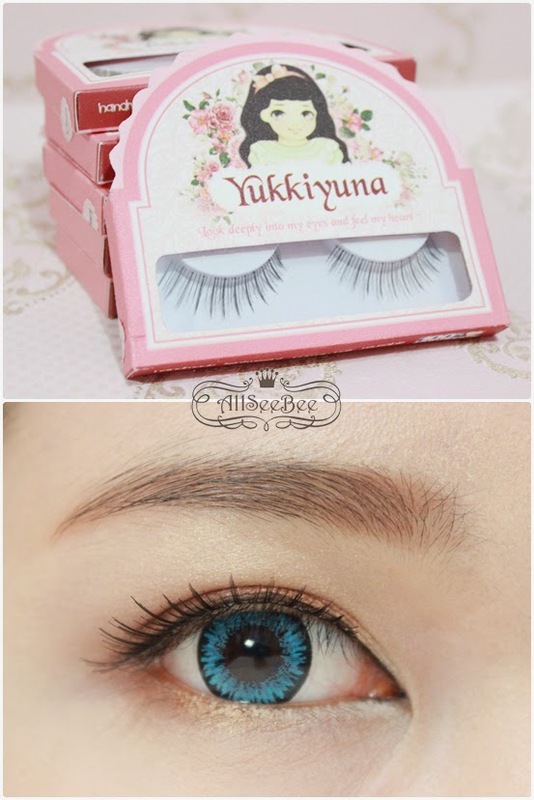 I bet that you (beauty enthusiast in Indonesia) know about Yukkiyuna Eyelashes. 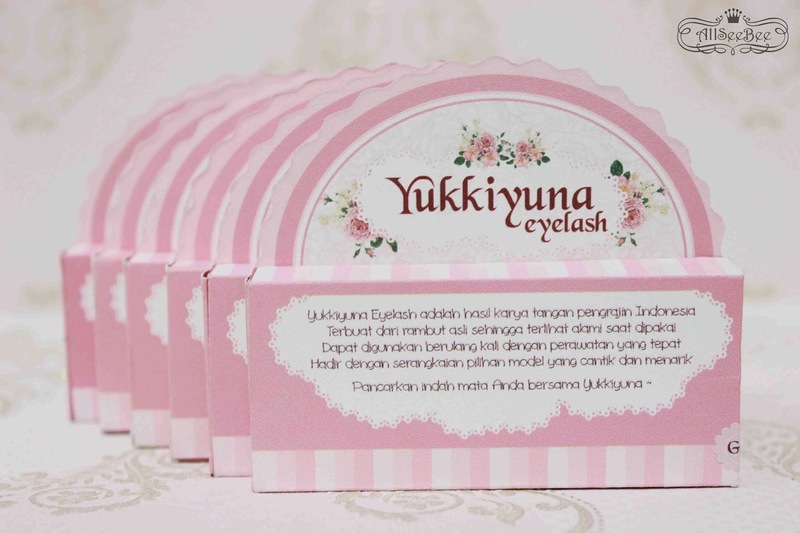 False lashes with pink and super cute package that 100% made in Indonesia with very affordable price. 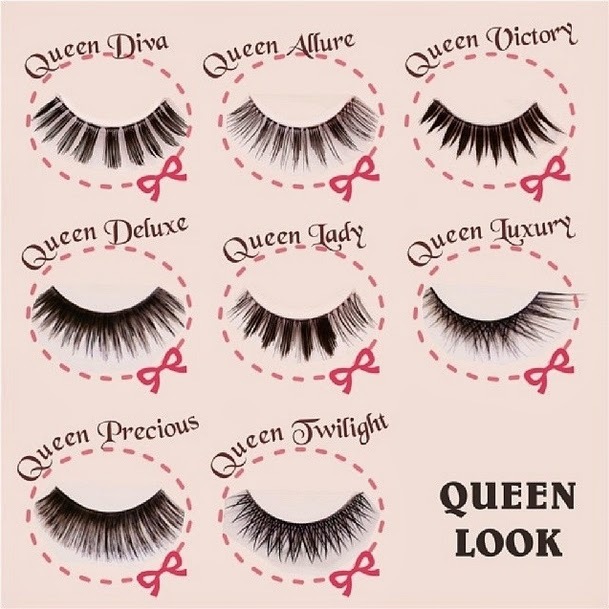 They also have a lot of variation of false lashes from natural to dramatic, upper and lower lashes. I chose three pairs of upper lashes and three pairs of lower lashes. The upper lashes are Sweet Angel, Dolly Charm and Queen Allure. The lower lashes are Perfect Glory, Perfect Hope and Perfect Wish. The design of Yukkiyuna's package is very girly with pink, flowers and lace design. Oh yeah, Yukkiyuna has just released their eyelash glue, I also get one eyelash glue. 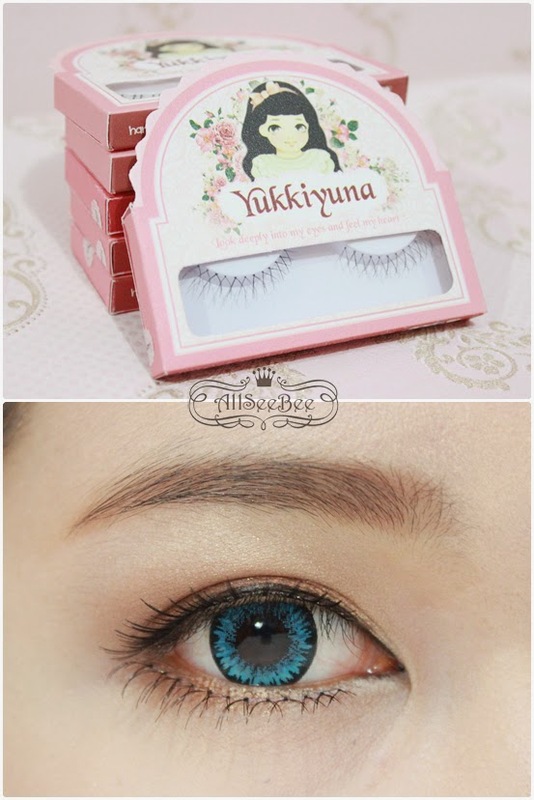 If you curious about Yukkiyuna Eyelases design, take a look on the pictures bellow. Not seeing any Perfect Wish on the picture? 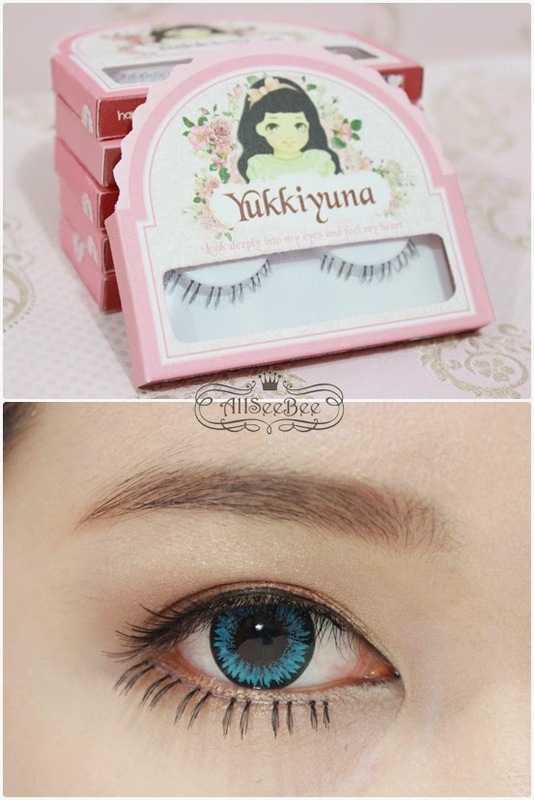 Perfect Wish was just released by Yukkiyuna, so it's one of brand new lashes from Yukkiyuna, the other lashes that Yukkiyuna has just released is Dolly Kiss. You can check Yukkiyuna or PuffeShop instagram to know how Dolly Kiss looks like. Most of lashes from Sweet collection has natural length and design. For this Sweet Angel, it has very natural design and length, I could say that it exactly as long as my natural lashes. I think that Sweet Angel is suitable for those who want a little addition to their natural lashes or just want a little bit visible lashes without using mascara. I think that all collections in Dolly range has medium length and most of them has the outer part longer than the inner part of the lashes. This Dolly Charm gave a winged eyeliner effect on my eyes. 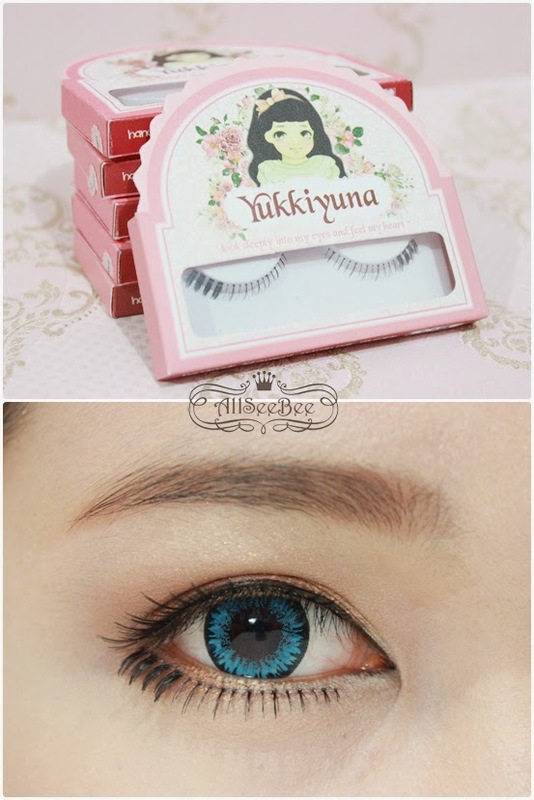 The Queen Collection is the dramatic collection in Yukkiyuna, they got the length and for some collection, volume. For this Queen Allure, when I use it, the false lashes--due to its length--almost touch my eyebrow and when I open my eyes really wide, it tingles my skin a little bit. Hahaha. Oh yeah, this is the first time I ever try lower false lashes and I have to say that I struggled a lot to put the lower lashes properly. This Perfect Glory is the most natural looking lower lashes that I got. It goes really well even with simple eye make up. The Perfect Hope has this thicker outer part and I think it suit for Gyaru make up. 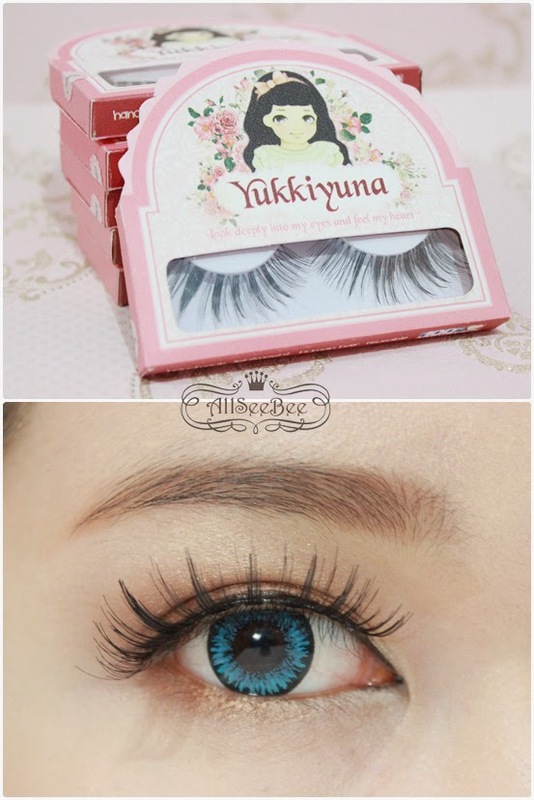 Perfect Wish, as I stated before, is the new member of Yukkiyuna lower lashes family. The design is kind of Twiggy style, I guess. 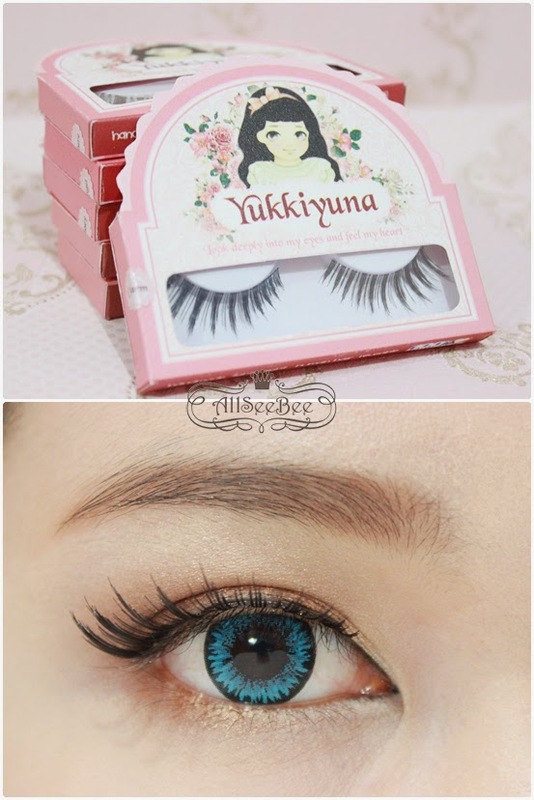 Anyway, in this post I present you three FOTDs at once, I made these FOTDs special to represent Yukkiyuna's eyelashes. I paired up the Sweet Angel and Perfect Glory to get that natural innocent look. I paired up the Dolly Charm and Perfect Wish to give extra support to my mystical look. In this look, I tried to do Gyaru look, since in Gyaru look require long dramatic upper and lower lashes, I paired up the Queen Allure and Perfect Hope together. To sum up everything, here are points that I like and don't like. - A lot variation of eyelashes design. - The false lashes come in clear band and flexible. aihh. cantik banget. suka semua looknya. matanya keren bangets. wah, kalau tentang itu aku sebenarnya kurang tahu Shan :( harus cari tahu dulu nih..
Semua artikel blognya sangat mengispirasi sekali, perkenalkan saya Vinda dari portal website Hijab (Muslim) yang sedang dibangun bernama Dream.co.id pada awal Mei mendatang. Ingin meminta email pribadi mba Dilla boleh? tujuannya mengajak kerjasama nonprofit tapi berbagi traffic. paling suka look # 3 !! oya keberatan gak kalau saling follow ?